The first residents have moved into a new housing development in Bailiff Bridge. Steven Titterington and his family have moved into one of 10 new homes on Beechwood Park in Bailiff Bridge. The Bradford Road development was built by Together Housing Group in partnership with Calderdale Council and is also supported through a grant from Homes England. Steven said: “It’s a great relief to move into our new home. I now have my independence again and my family is looking forward to a new future. “I have MS and it’s been getting worse. We owned where we lived before but it was on four floors and we couldn’t make any adaptations to it. I couldn’t manage all the stairs anymore and I had a few trips and falls. “Our new house is all level from the drive to when you go in through the front door. Even better, it has a wet room which makes life so much easier and we can add a stair-lift and handrails. “In our old house, I couldn’t even do a simple job like vacuuming without getting exhausted and my wife and two teenage children had to do all the jobs. Now I can do so much more and it will really improve my quality of life. 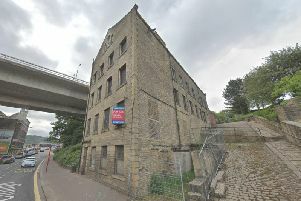 Dave Procter, Chair of the Board at Together Housing Group, said: “This development is the first to come to fruition as part of the Calderdale Together Investment Partnership, in which we are investing more than £70 million to develop homes that people in Calderdale can be proud to live in.